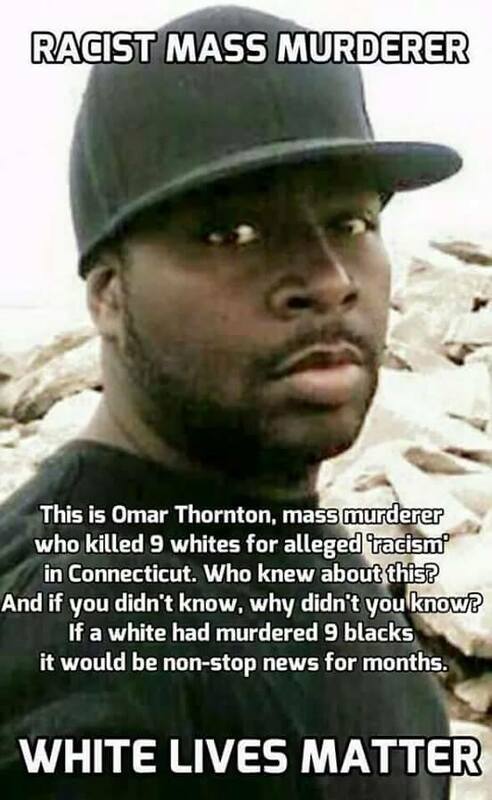 Omar Sheriff Thornton, a black man, got caught stealing from his workplace, agreed to resign, but then shot and killed eight white people at his work — and then he rang 911 and said he did it because they were “racist”. Sure, Omar, everyone is “racist”, nothing to do with you being a low-life who got caught stealing. Or, more likely, Omar was angry at being exposed as a thief, but blamed his circumstances on everyone except himself. Either way, it was a racially-motivated mass murder. 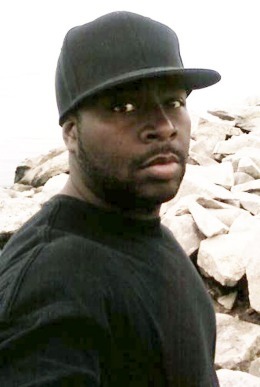 Did this killing of eight white people by Omar Thornton get anywhere near the amount of media attention that was given to the case of Michael Brown in Ferguson? No, it didn’t. Brown was a black thug and a thief who was shot because he was attacking a police officer, but — once again — it’s all supposedly the fault of “racist” white people. Did the shooting of eight white people by Omar Thornton get anywhere near the attention that the media gave to the shooting of nine black people by Dylann Roof? No, it did not. That’s because there are two standards under the regime of political correctness — one for whites, and one for blacks. The mainstream media talk a lot about equality, but they don’t actually believe in it; however, what they do believe in is their anti-white agenda, where they blame white people for society’s ills, and push mass immigration of non-whites onto white societies, so that eventually all white people will disappear from the face of the Earth — because anti-white genocide is the goal of the Multiculturalists and their fellow-travellers in the lynch mobs of Political Correctness. Did people riot in the streets over the Thornton murders? No, they did not. Maybe that’s because some people are more level-headed than others; but it’s more likely due to the fact that the mainstream media has been pumping up the black population for decades to hate white folk — whenever anything goes wrong, white folk get the blame. Haven’t got a job? Who’s to blame? White folk. Or is the job you have not so great? Who’s to blame? White folk. Living in a crummy neighborhood? Who’s to blame? White folk. The media have spent decades feeding anti-white hatred to black people, and encouraging a (wrongly-deserved) sense of outraged entitlement. There is a hugely disproportionate rate of murders, bashings, and rapes of white people by blacks; could it be that part of the blame is the media-fuelled sense of anti-white anger harboured by so many black people? It would not be surprising to discover that Political Correctness, as pushed by academia, the media, and political rabble-rousers, is partially responsible for much of the black-on-white crime which is occurring in various countries, especially in the USA. Political Correctness means murder; Political Correctness means genocide; Political Correctness is evil — and it must be opposed, for the sake of our families and for the future survival of our people.